Everyone is limited to a single account and an ID number and a mobile phone number must be bound to this account. Members may start purchasing tickets after successfully verifying their phone numbers. 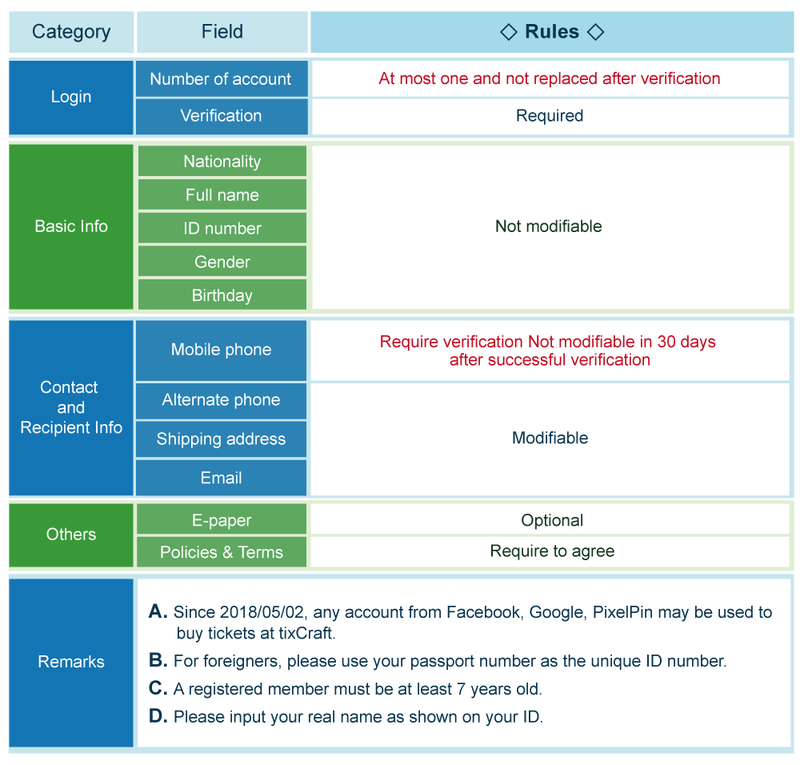 Please choose only one account from facebook, Google, or PixelPin as your tixCraft login account. Your member account may not be changed once being verified. Please choose your preferred account prudently. Each ID/passport number may be bound to at most one account. Each mobile phone number may be bound to at most one single account.